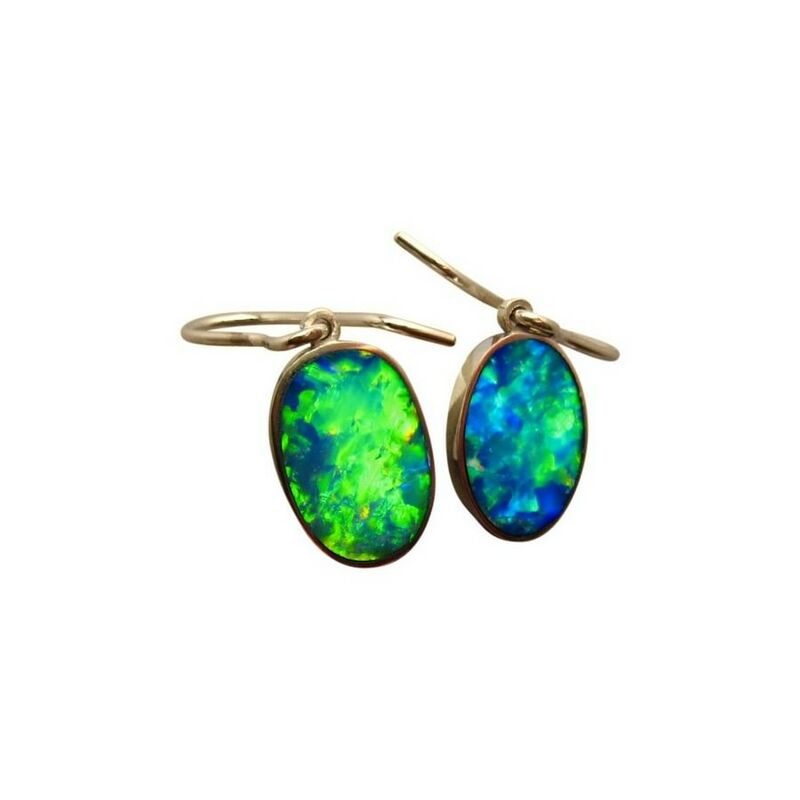 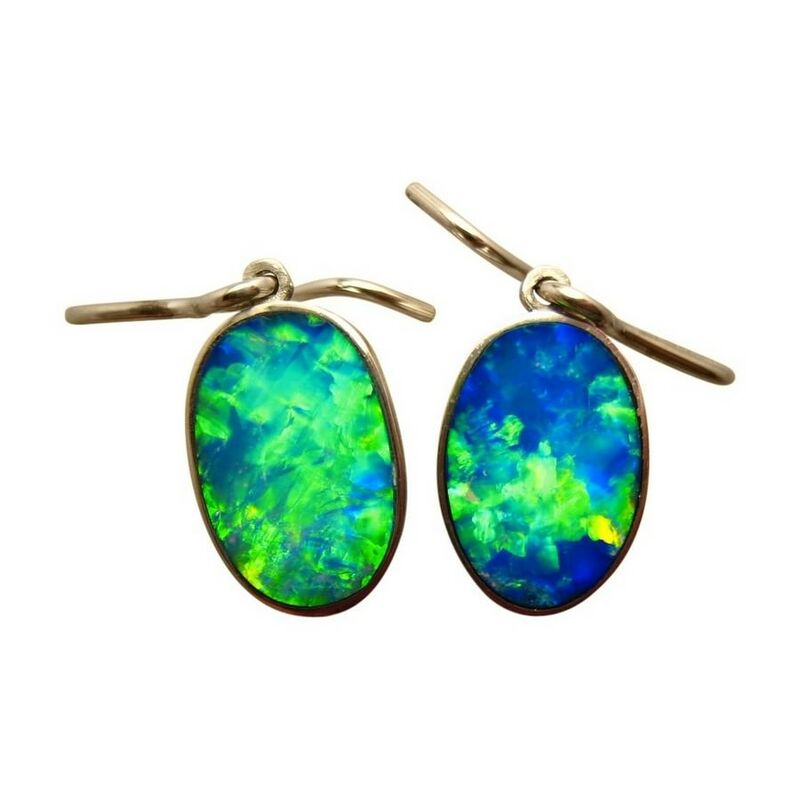 Short drop dangler Opal earrings that are big and very bright set in 14k Yellow Gold. 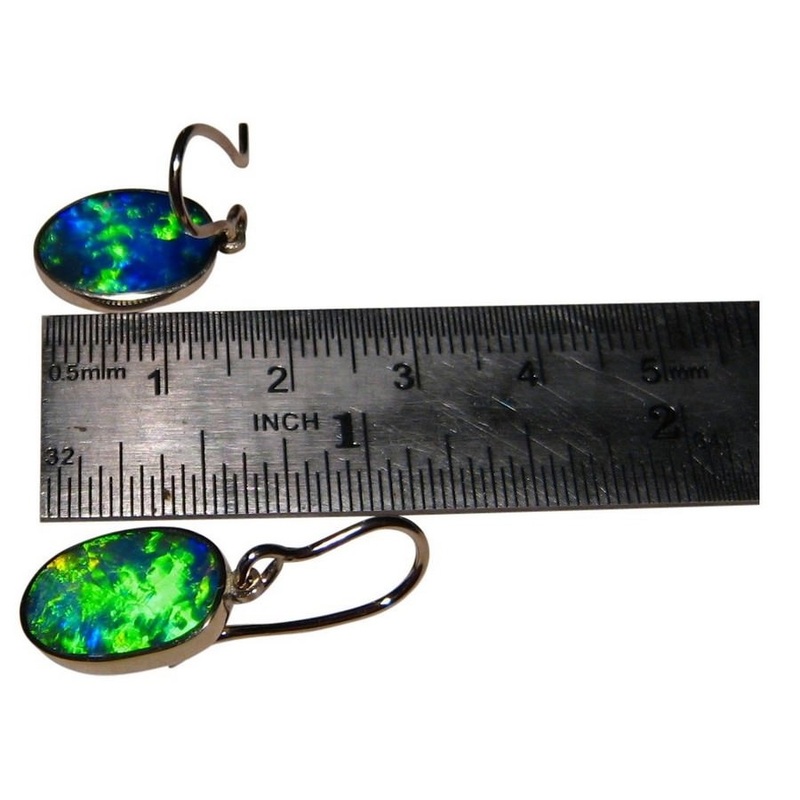 A pair of Opal earrings that are sure to wow. 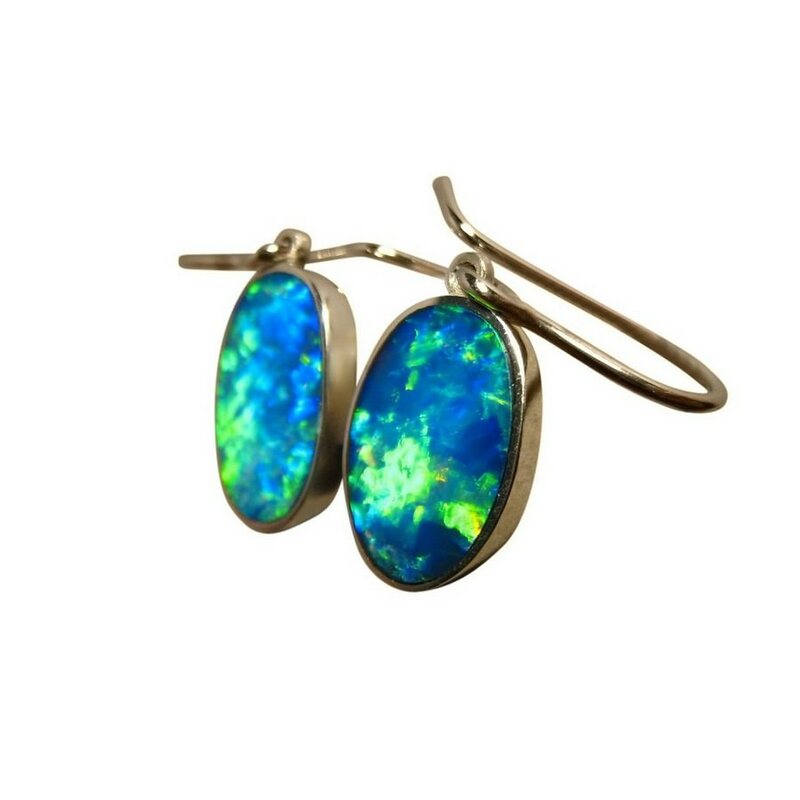 Big oval Black Crystal Opals from Lightning Ridge with a combined weight of 8 carats are inlaid in 14k White Gold earrings that are attached with shepherds hooks for a short drop but allowing movement to show off the amazing play of color. 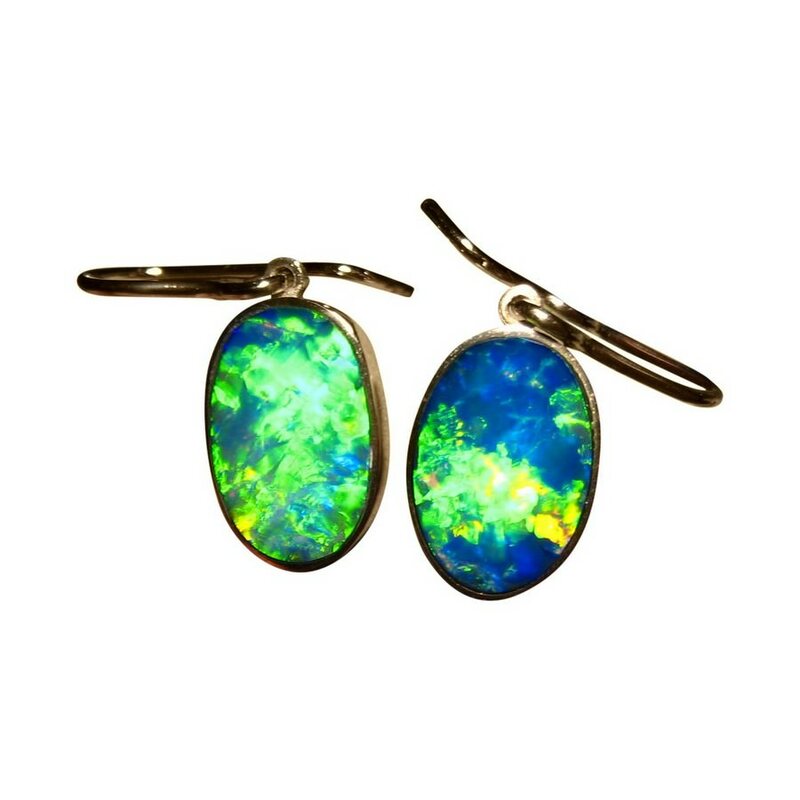 The Opals are extremely bright and flash Blue and Green with some Gold and the video below will show the brightness and fantastic play of color. 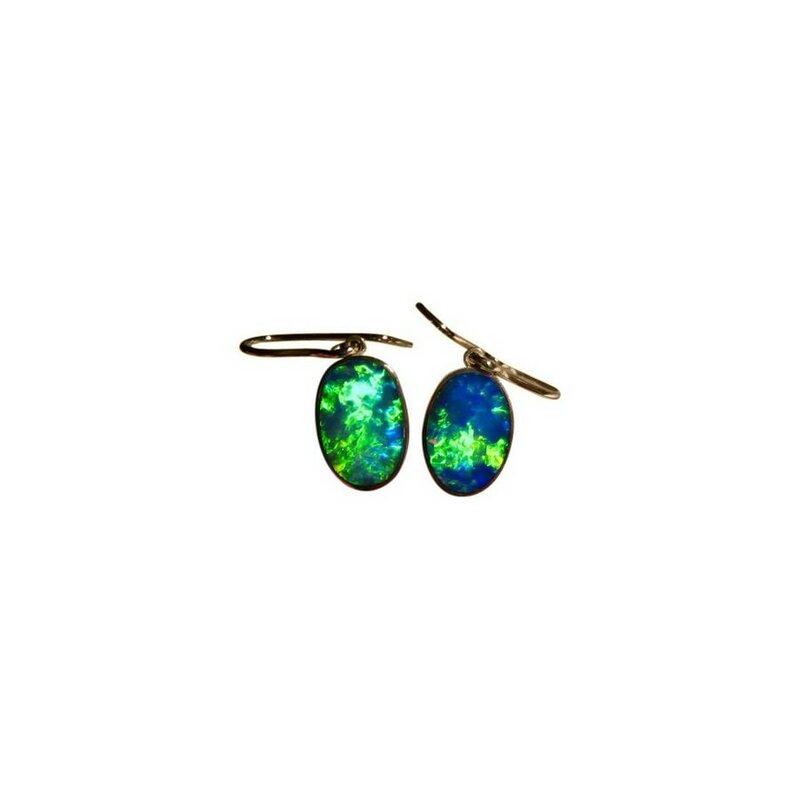 These stunning earrings are ready to ship now.